Dartmouth College has forged a singular identity by combining recognized excellence in undergraduate education with top-flight research. Located in the quintessential New England town of Hanover, New Hampshire and a member of the Ivy League, Dartmouth is a small, student-centered, undergraduate college with three leading professional schools – the Geisel School of Medicine, Thayer School of Engineering, and the Tuck School of Business. The Dartmouth academic experience plays out in over 50 areas of study and is characterized by small courses taught by faculty who are distinctly committed to both effective instruction and leading scholarship within their disciplines. 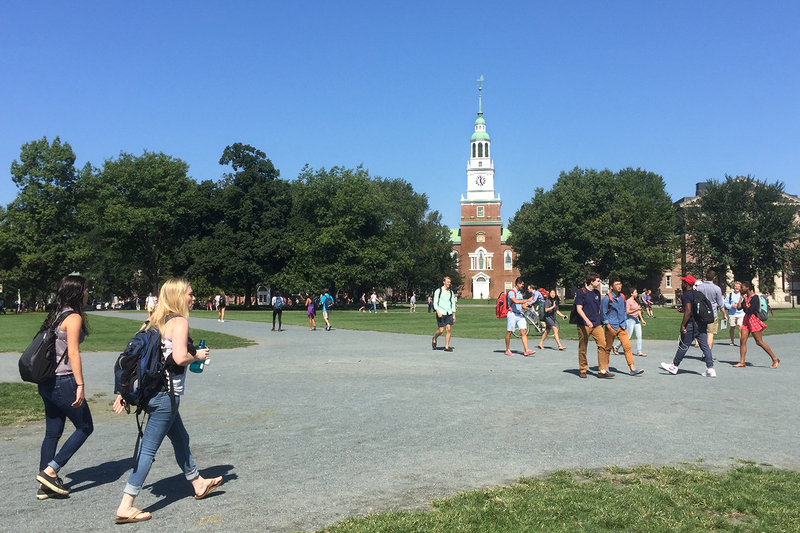 Dartmouth’s flexible year-round calendar system, known as the Dartmouth Plan, allows students to customize their academic calendar. As a result, Dartmouth students study abroad at the highest rate within the Ivy League and pursue career-building and personally defining internships and other off-term experiences. Beyond the classroom, Dartmouth offers 34 Division 1 intercollegiate athletic teams alongside 34 club sports, student organizations serving interests ranging from politics to performing arts to Greek life, and a distinctive connection to the out-of-doors through the oldest and largest collegiate outing club in the country.